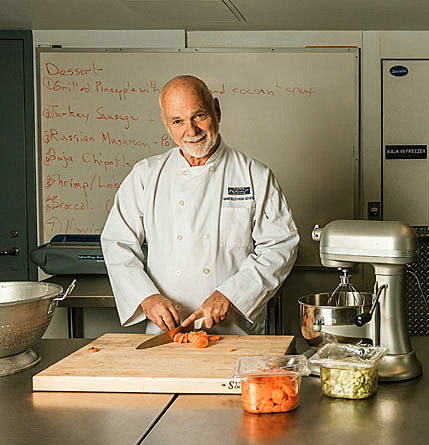 Chef Hackett, a former San Diego Union-Tribune food writer has written five cookbooks, taught cooking to all ages including young children, teens, adults and professional chefs. Currently he is a Culinary Arts instructor in the College Career and Technical Education program of the San DiegoUnified School District. The focus of Chef Hackett’s talk is the reality that cookbooks, especially antiquarian cookbooks, are often more than just a collection of recipes. Prefaces and introductions to recipes often reveal incredible information about the prevailing attitudes, standards and prejudices of the time. Arlyn Hackett will present readings excerpted from period cookbooks, ranging from 1796 to the present, and has juxtapositioned the selections to give a revealing, informational, sometimes humorous and sometimes jolting look at the history of American cooking and American women. The readings will be delivered by professional and amateur actresses.